Online casinos provide all the aspects of a brick and mortar casino but from the comfort of your own home. All you need is an internet connection and a device from which to play, and you’re on your way to playing your favourite casino games. In this article we aim to look at some of the most interesting points regarding online casinos as well as provide guidance as how to setup an account and choose the right online casino for you. If you want to understand the history of online casino, you need to look at a key company that played a very important role in online casinos’ developments. That company is Microgaming. Microgaming was formed at the dawn of the internet- 1994. Microgaming, which is now a leading software developer, claimed to have created the first ever online casino called The Gaming Club. Since then, we have seen the introduction of hundreds of other online casinos which provide thousands of exciting casino games. Advances in technology have played in an important role in ensuring that online gambling is kept safe and secure. What Games are offered at Online Casinos? While most online casinos are safe and reputable, there are of course a few dodgy ones out there that you should avoid. The best way to see if an online casino is safe to play at is to read reviews online as well as researching the casino’s certifications and legislation. Another obvious precaution to take is to never give away your account information to anyone. Choose an Online Casino - Do a bit of research and find a legitimate online casino that is available in your country and that offers great welcome bonuses. 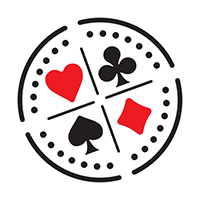 Create an Account - The steps to creating an account differs slightly from casino to casino, but expect to submit certain documentation in order for the casino to confirm your identity. Once your documentation and contact info has been confirmed, your account will be activated. Make your First Deposit - In order to start playing, you’ll have to have some funds in your online casino account. There are usually a variety of payment methods to choose from, including credit card, EFT, cash deposit and even Bitcoin! Choose a Game -Now it’s time for the fun part. Browse through the many games on offer and pick one that takes your fancy. Read the info about the game before you start playing so that you know all of the rules. Most games have a free version that you can play to get a hang of the game before you start playing. Convenience - Online casinos allow you to play your favourite casino games from the comfort of your home. As long as you have a decent internet connection and a smartphone, laptop or tablet- you are good to go! Promotions - Online casinos are well known for their impressive welcome bonuses and weekly promotions. These promos allow you to play for free in many instances, giving you an instant advantage. Safety - Playing online is incredibly safe. Your personal details are kept secret from third parties and advances in technology have led to trustworthy security. Options - Online casinos provide a massive variety of games that come with many customisable betting options. There’s a reason why millions of people worldwide frequent online casinos on a daily basis. Online casinos offer something for everyone and have come a long way in the past decade, offering an impressive plethora of online games. As long as you take the necessary precautions, there is no reason why playing your favourite online casino games should be anything but safe.